New Delhi: The dean of Netaji Subhas Chandra Bose Medical College, Jabalpur, MP, Dr Arun Sharma who is said to be involved in the Vyapam Scam probe was found dead today in New delhi. Police said Sharma’s body was found at a hotel in south-west Delhi’s Dwarka by the staff who opened the room using a duplicate key after he did not answer repeated knocks on the door. An almost empty bottle of alcohol and vomit was found in the room. “Dr Sharma was found dead at his room in a hotel in Delhi. We are shocked at the death, He was a very close to Dr Sakalle,” Indian Medical Association (IMA) Jabalpur district president Sudhir Tiwari told PTI. Incidentally, Sharma was the second Dean of the medical college to have died under mysterious circumstances in the last one year. D K Sakalle, who was inquiring into admissions of candidates for whom proxies had allegedly appeared in the Pre-Medical Test, had been found burnt at his residence. Tiwari claimed Sharma had wept at the funeral pyre of Sakalle, claiming the latter had not committed suicide, as concluded by police after investigation. “I suspect that Sharma too might have been killed,” Tiwari said in Jabalpur, and said he had learnt two days back that the Dean had submitted a report relating to the Vyapam scam to the Special Task Force (STF) probing it. The Vyapan scam came to light in the year 2013, and dates back to as early as 2007. 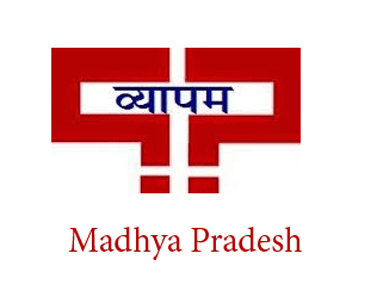 Officers of the Madhya Pradesh Professional Examination Board (Vyavsayik Pareeksha Mandal, or Vyapam) were found to have been rigging a variety of eligibility tests for courses and recruitments including medical entrance examinations. It is supposed to be one of the biggest scams of the state with a value of 2000 crore in terms of bribes and having led to 2000 arrests made by the police till now, including the former Madhya Pradesh government’s technical education minister, Laxmikant Sharma. The death of Dr Sharma comes one day after the mysterious death of an investigative journalist, after he had interviewed parents of a girl found dead after her name figured in the massive admission and recruitment scandal. Meanwhile, MP Chief Minister Shivraj Singh Chouhan has said the government will write to the High Court-appointed SIT probing the Vyapam scam to “thoroughly investigate” the death of Singh, a journalist with the TV today group. Utter shock….an enquiry should get to the bottom of this case!